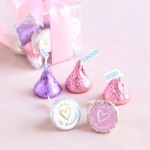 Since the year 1907, Hershey's has been making delightful chocolate bars and candy treats in all shapes and sizes. 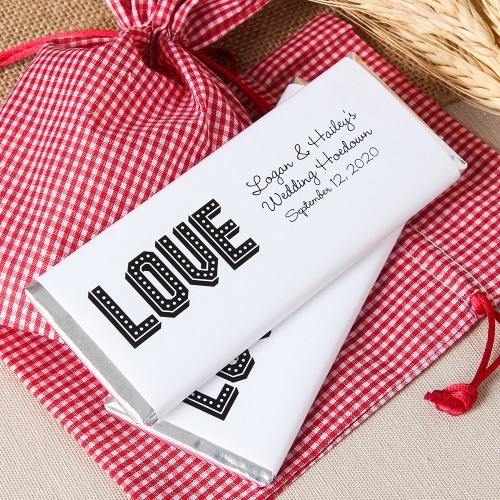 Today Hershey's chocolate is still a favorite all over the world. 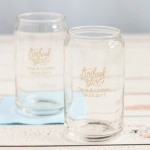 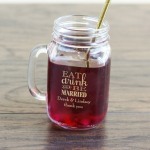 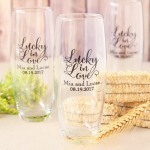 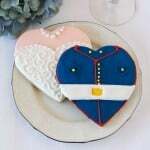 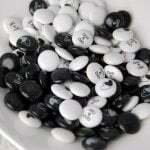 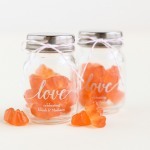 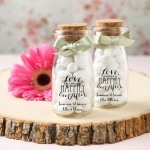 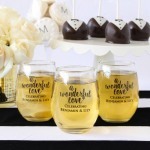 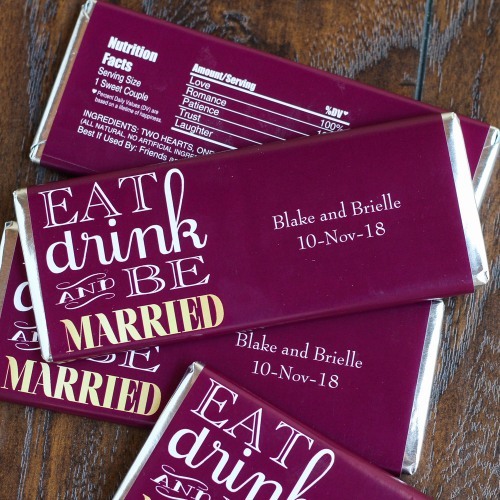 For couples looking for the classic American treat to pass out on their wedding day, look no further. 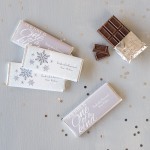 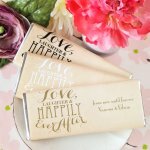 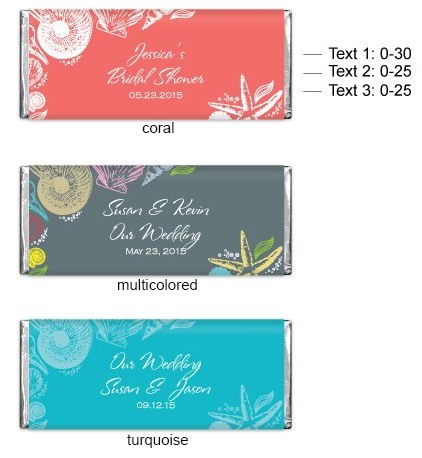 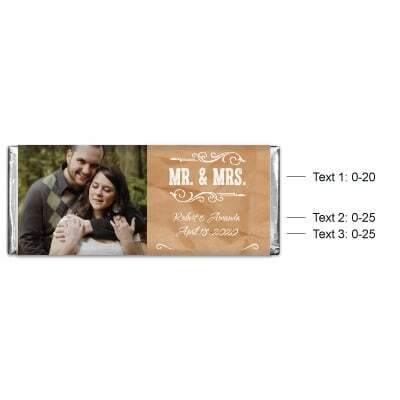 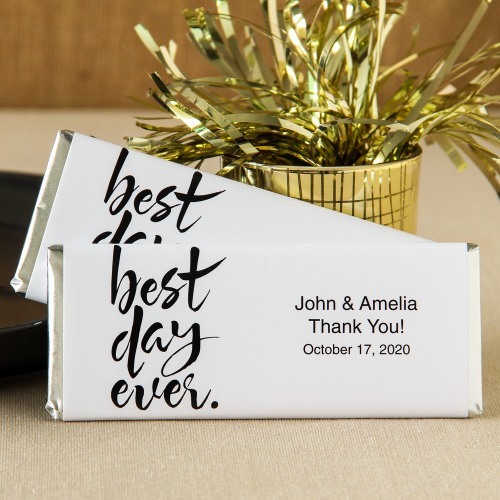 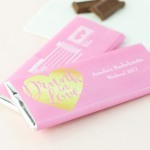 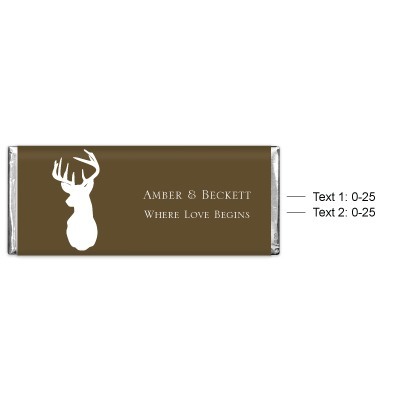 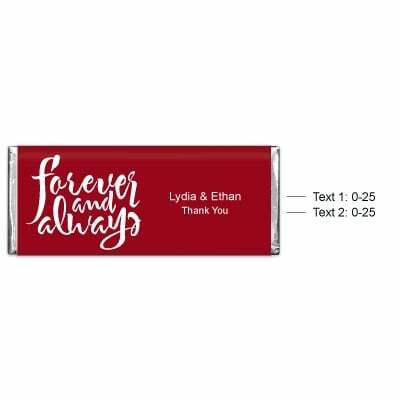 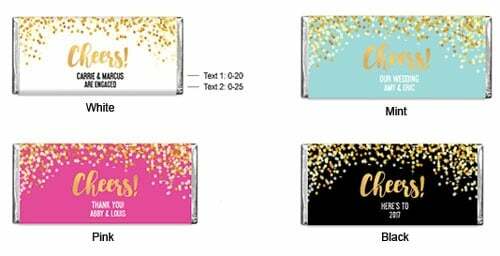 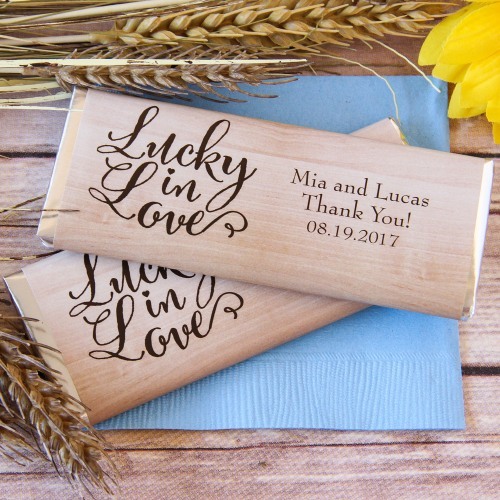 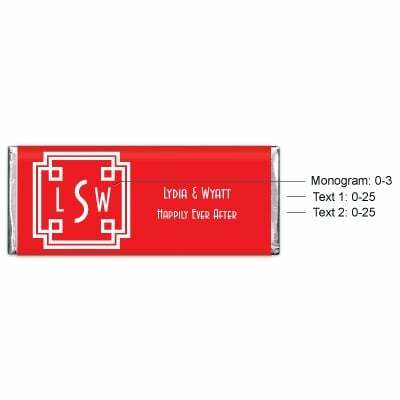 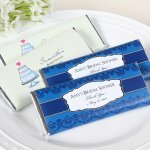 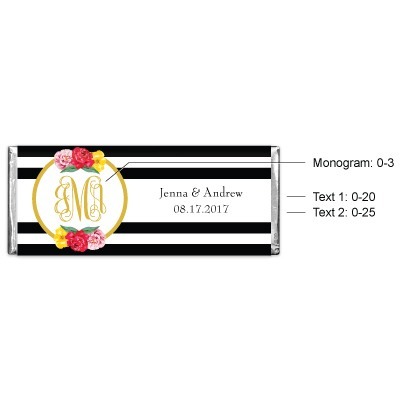 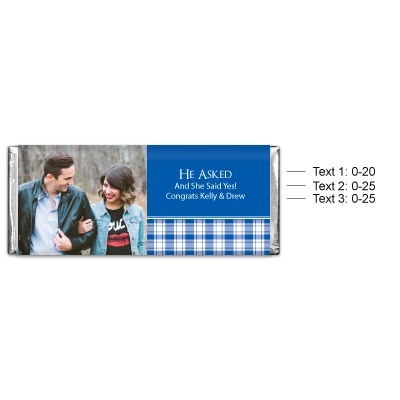 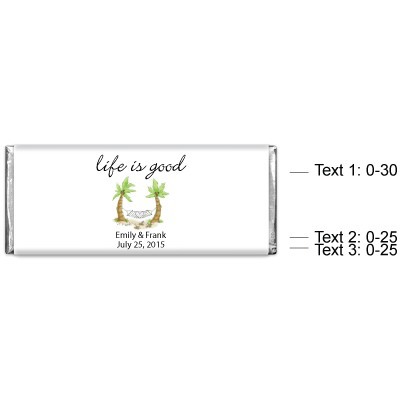 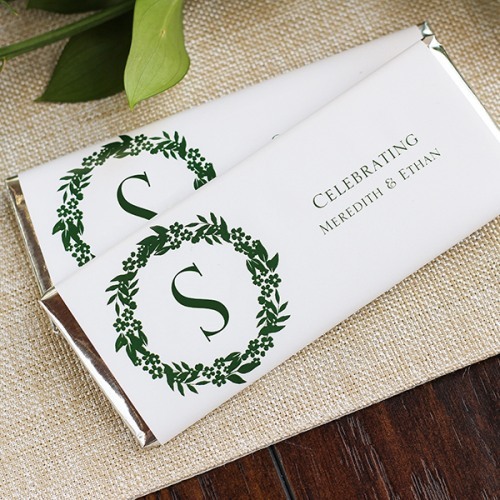 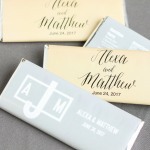 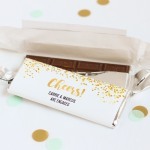 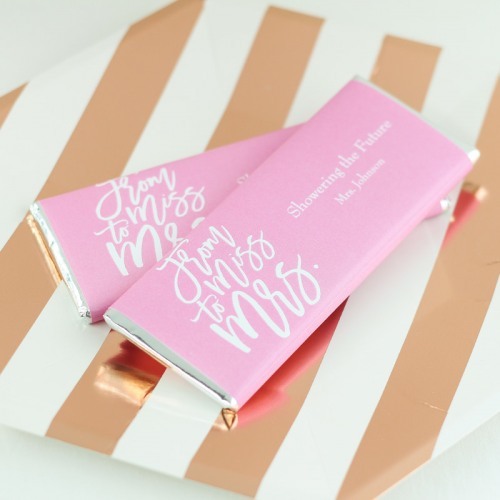 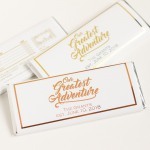 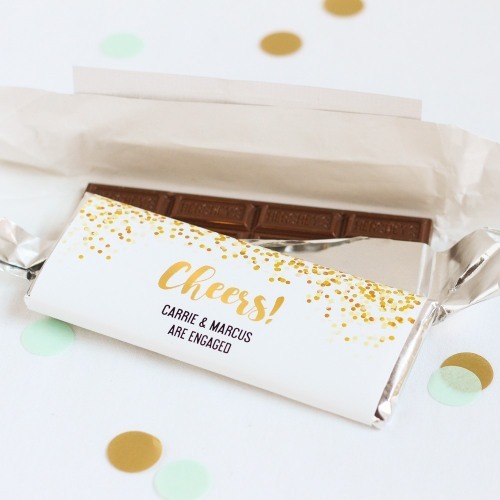 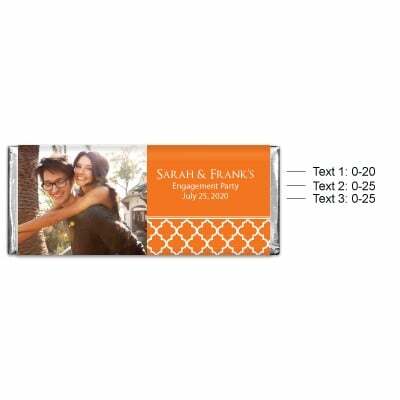 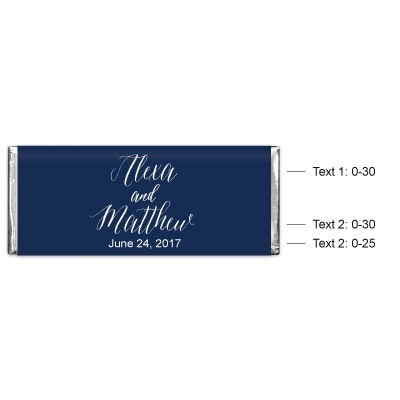 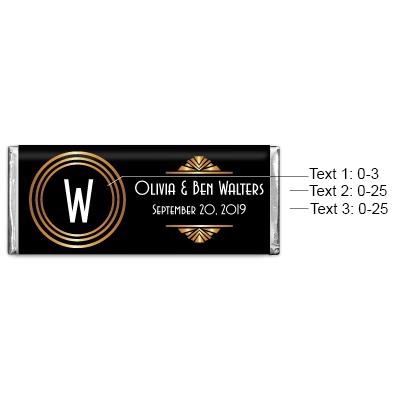 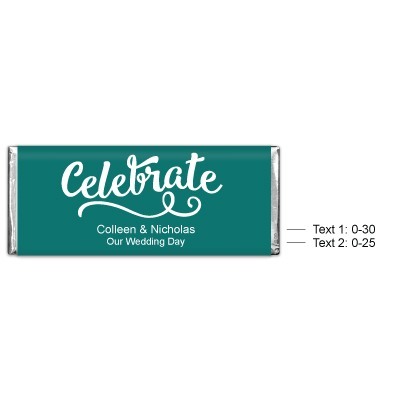 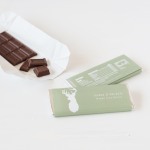 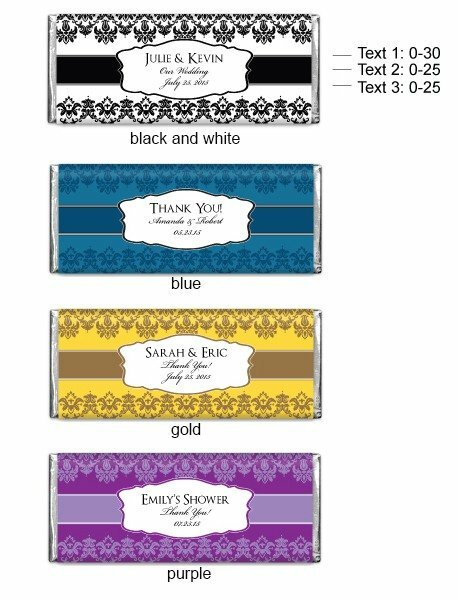 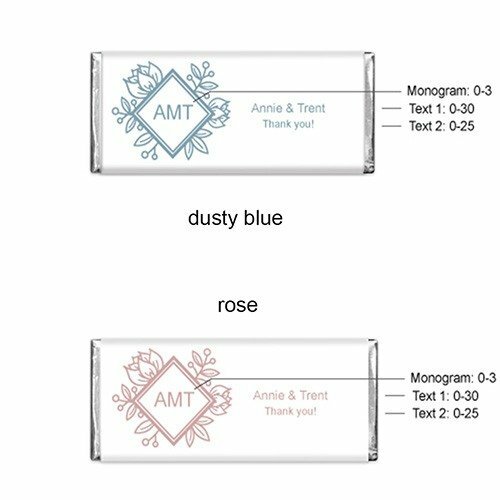 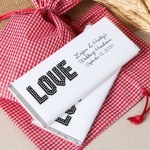 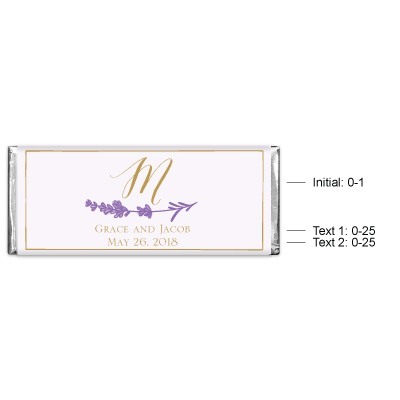 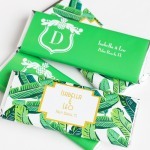 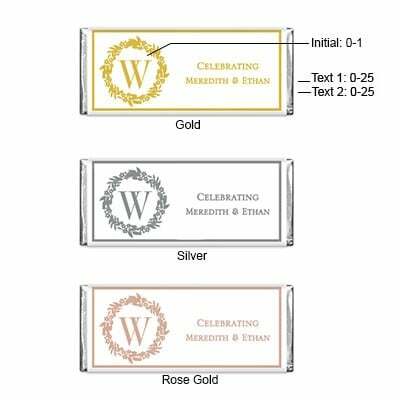 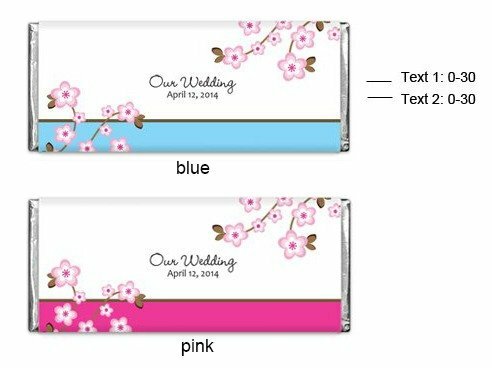 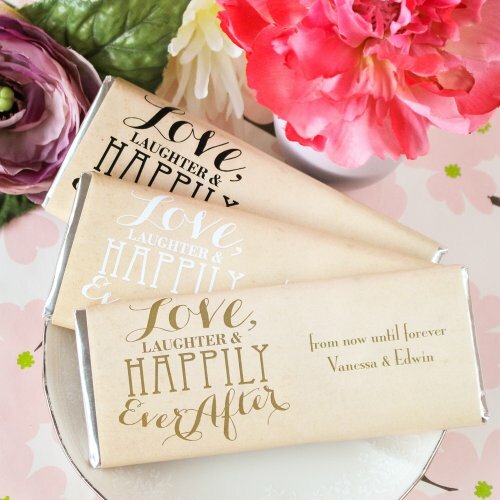 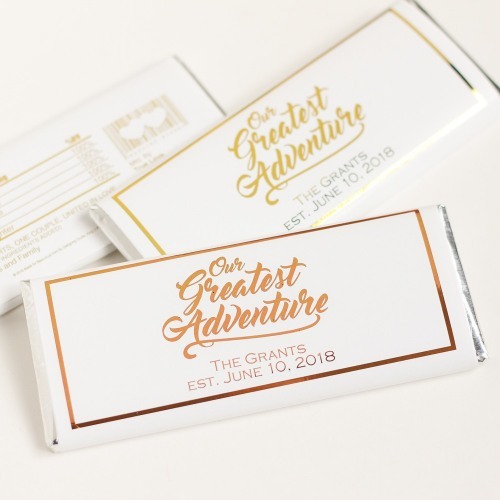 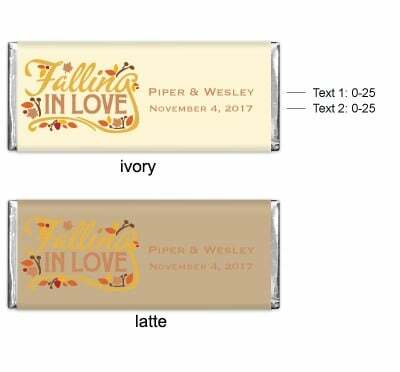 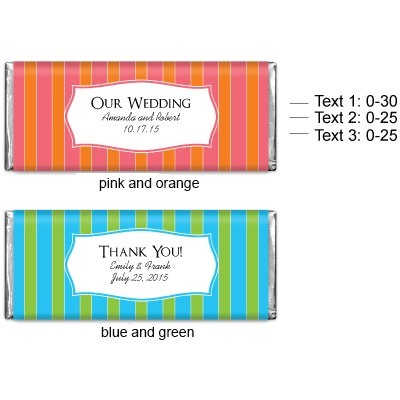 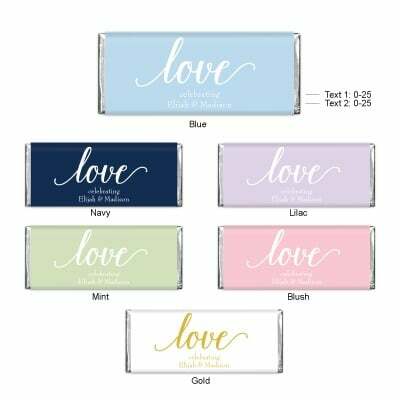 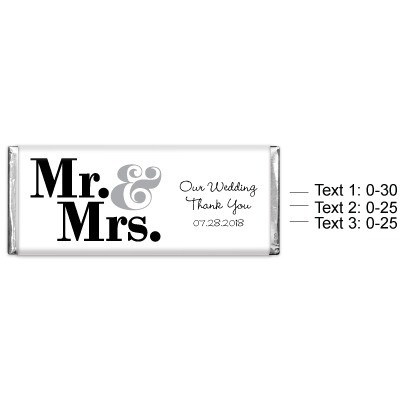 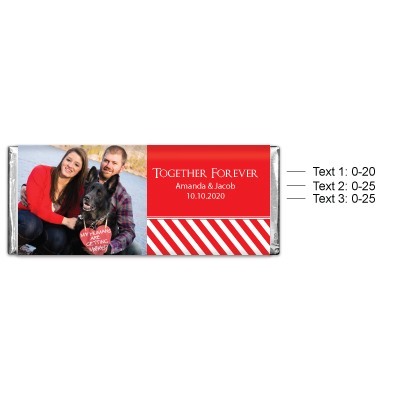 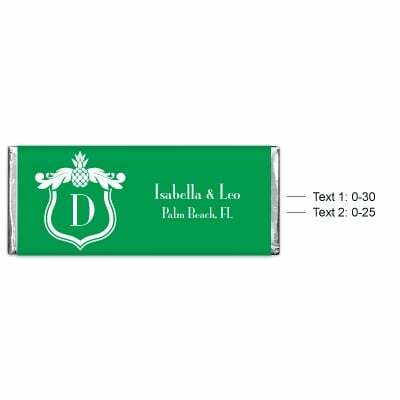 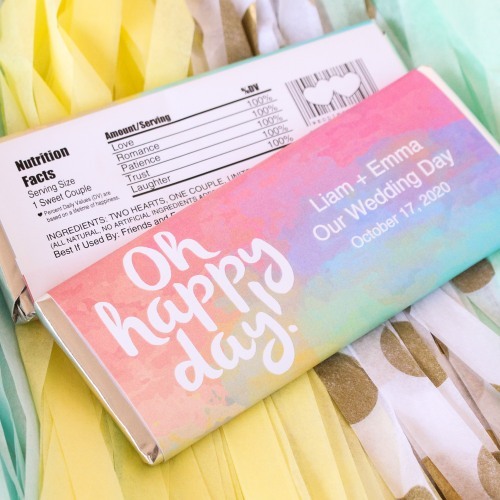 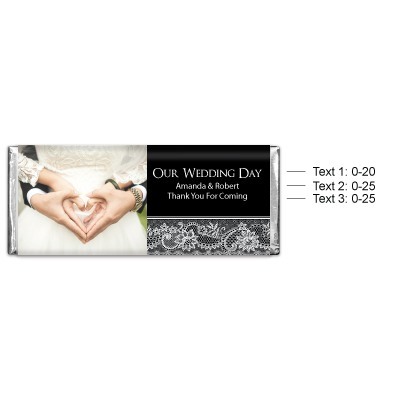 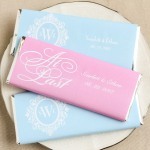 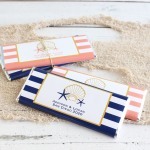 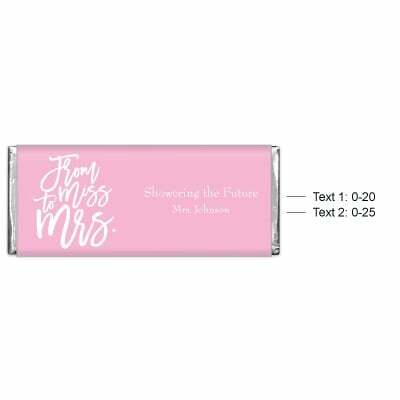 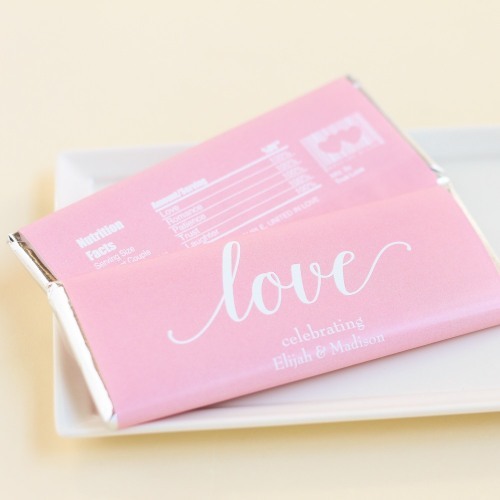 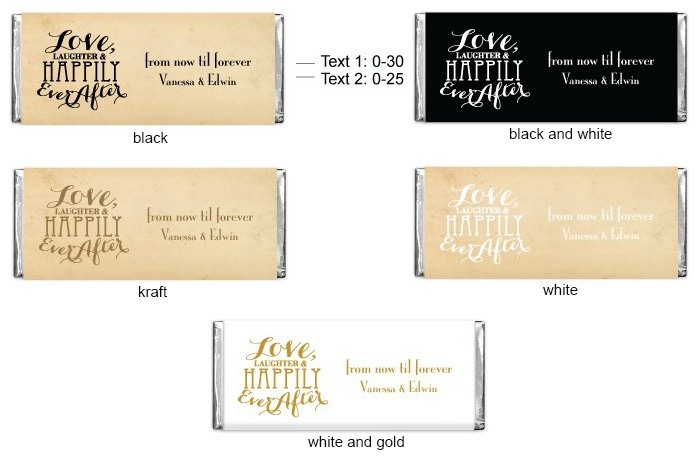 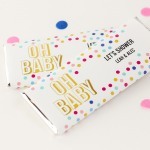 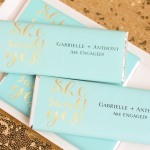 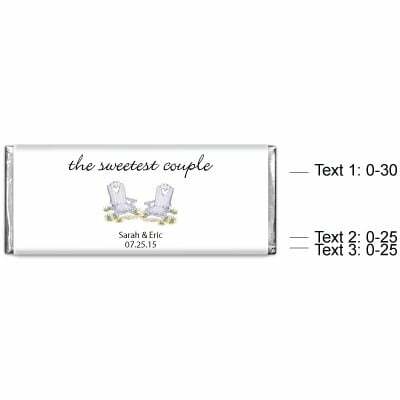 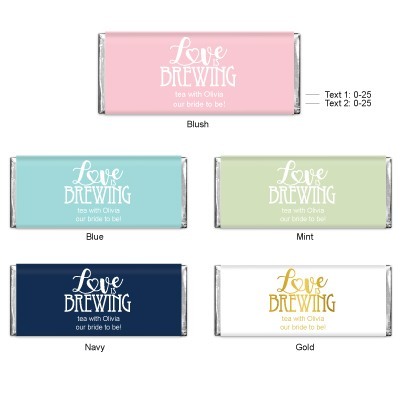 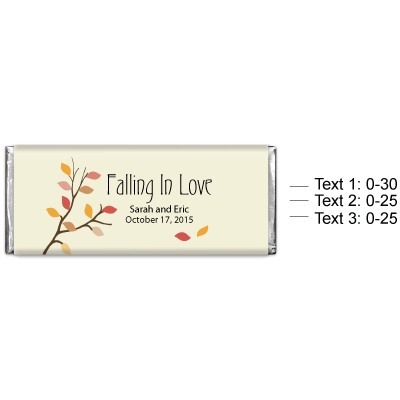 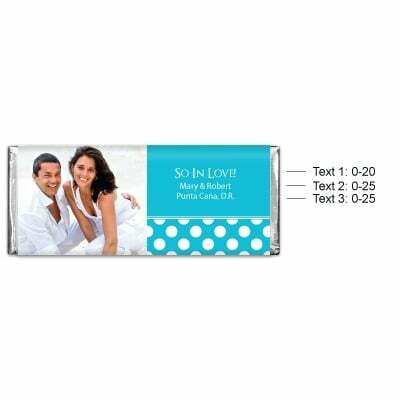 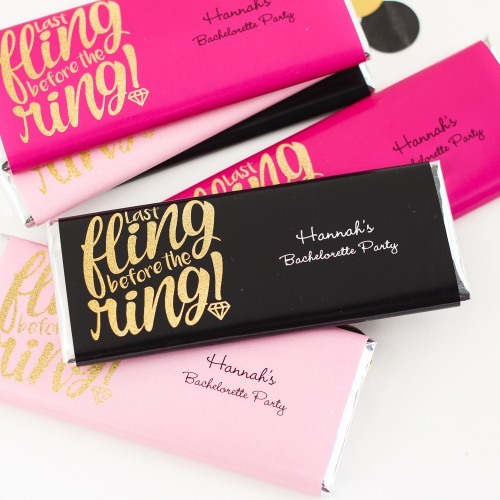 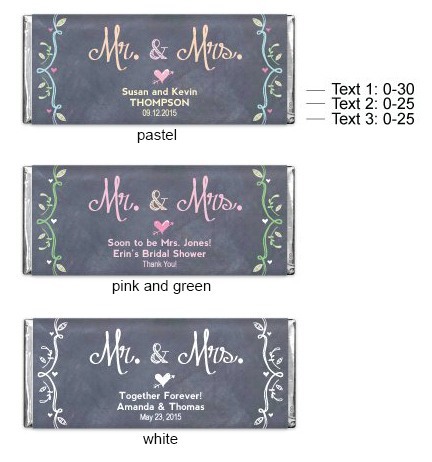 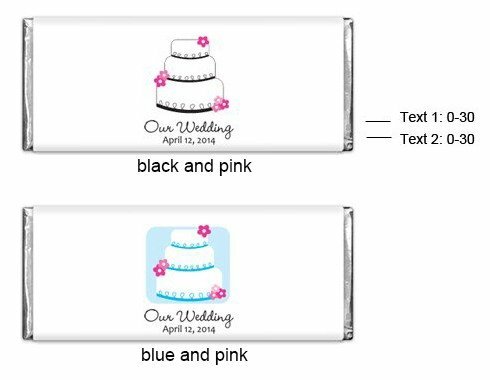 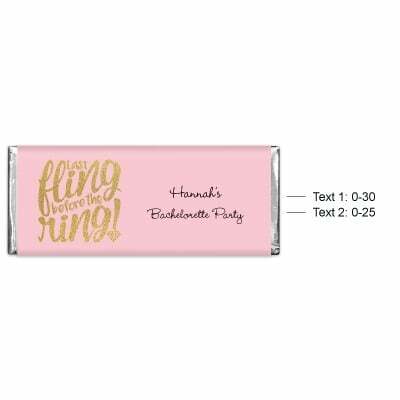 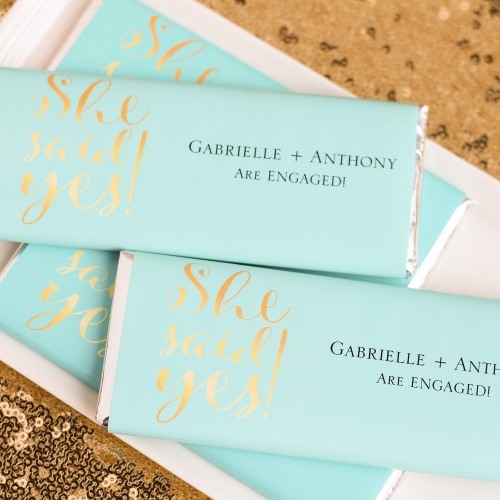 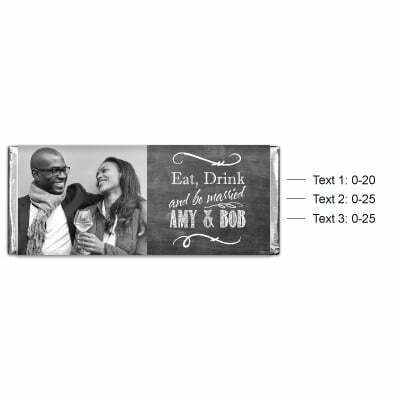 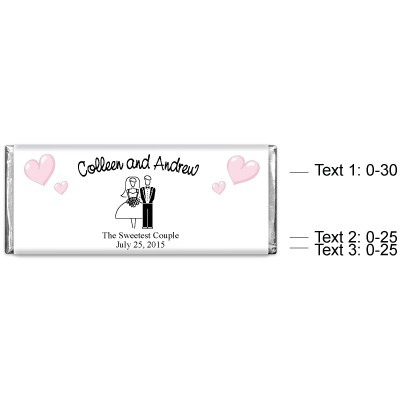 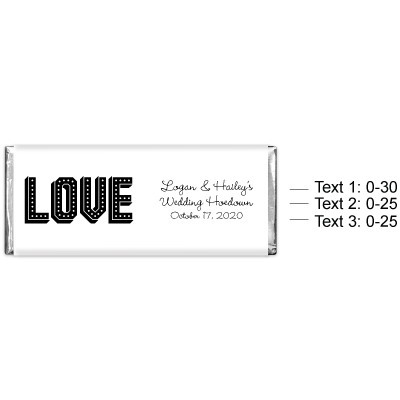 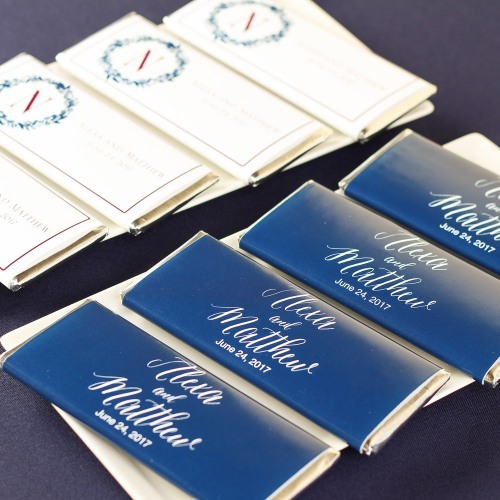 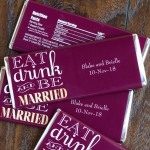 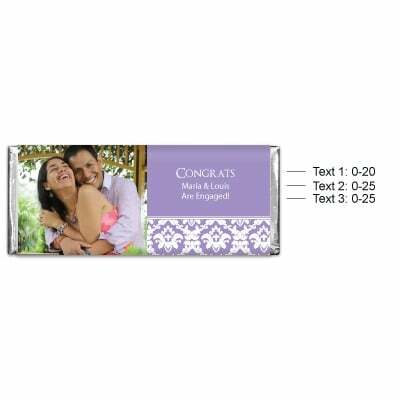 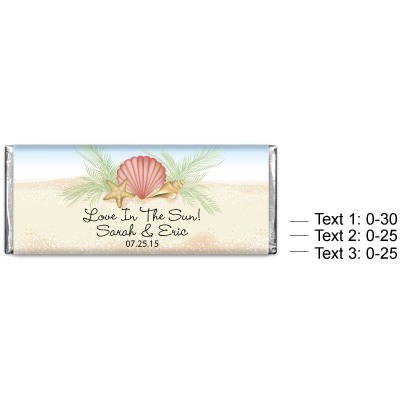 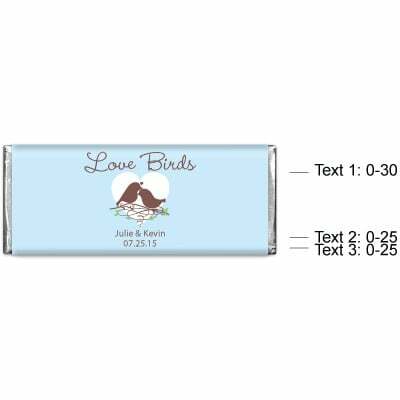 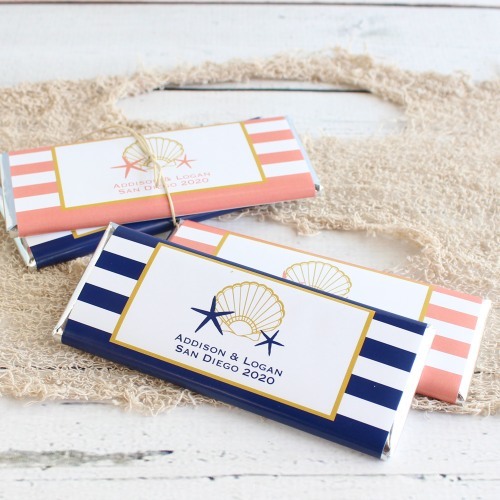 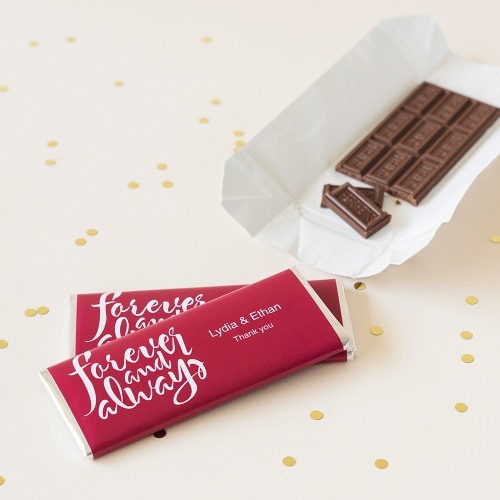 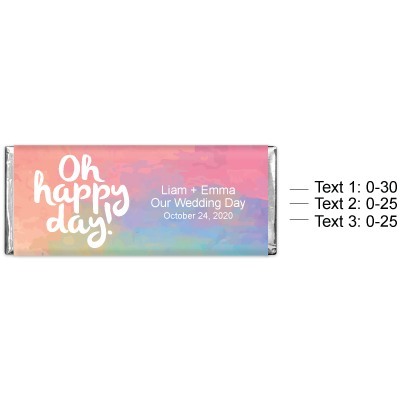 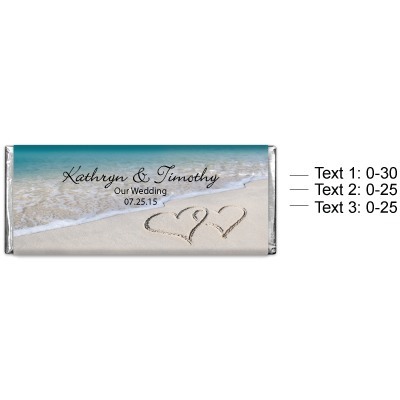 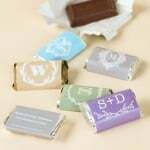 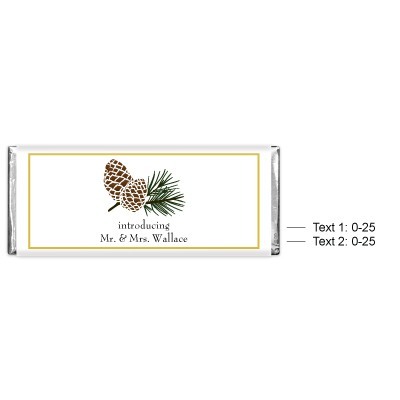 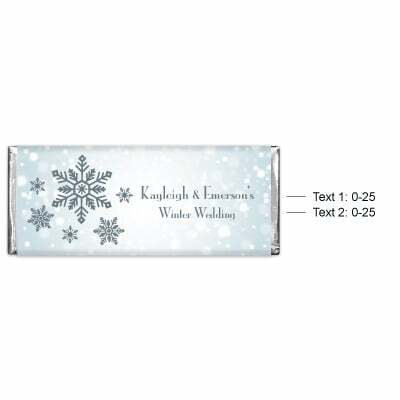 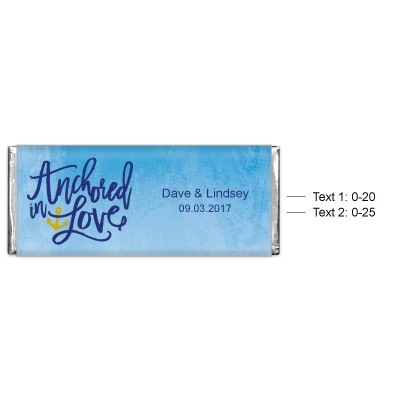 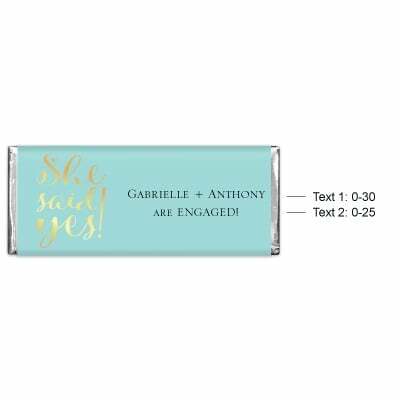 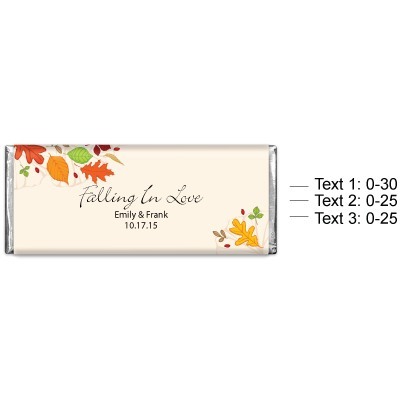 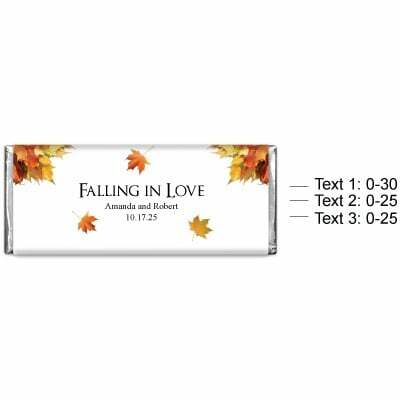 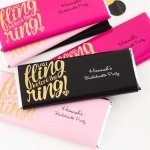 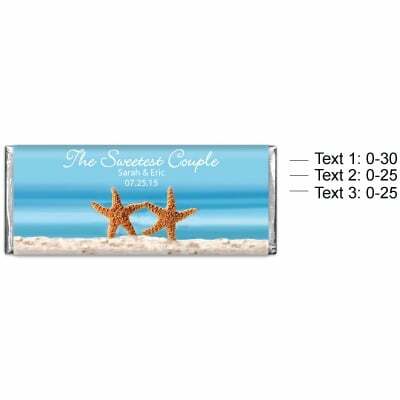 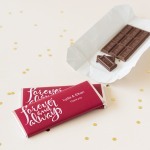 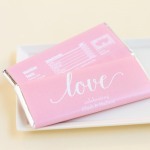 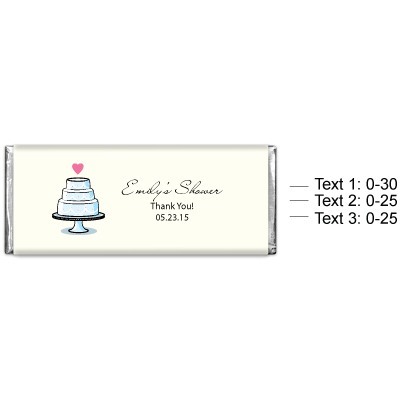 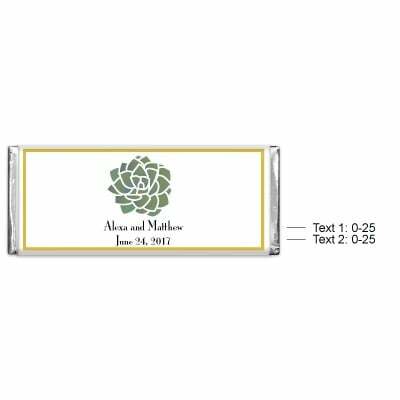 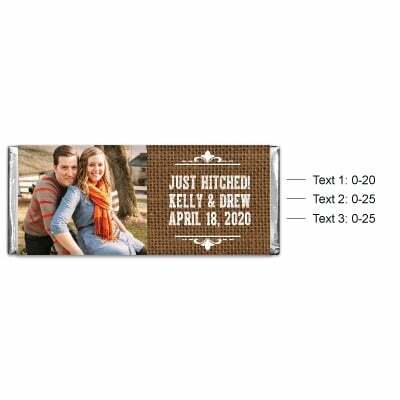 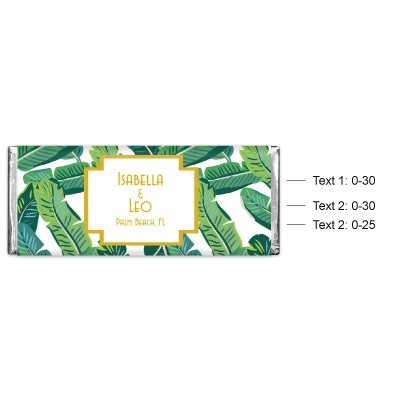 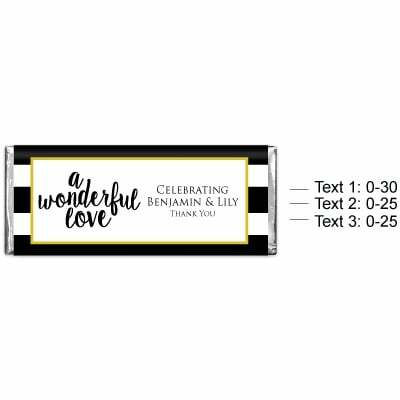 Our personalized classic 1.55 oz Hershey's chocolate bars takes the traditional Hershey's chocolate bar and wraps it up in a beautiful personalized wrapper for a wonderful wedding, engagement, or bridal shower favor. 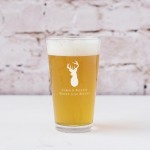 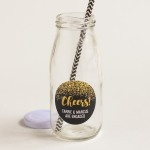 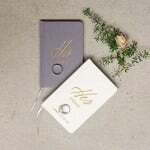 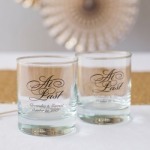 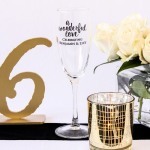 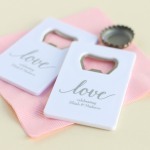 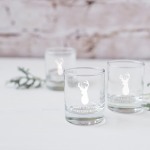 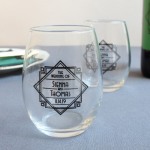 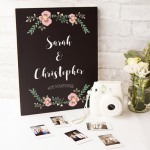 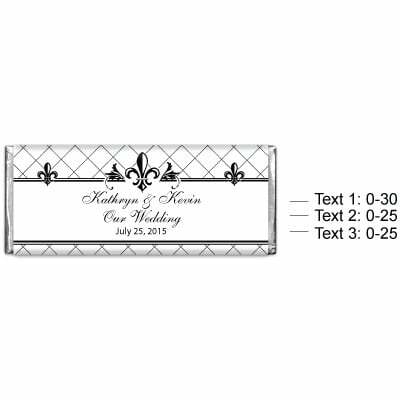 With dozens of designs available, find that one that suits your event. 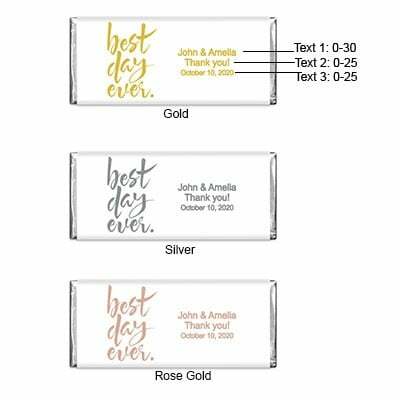 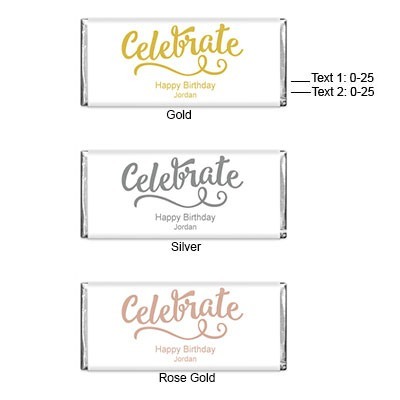 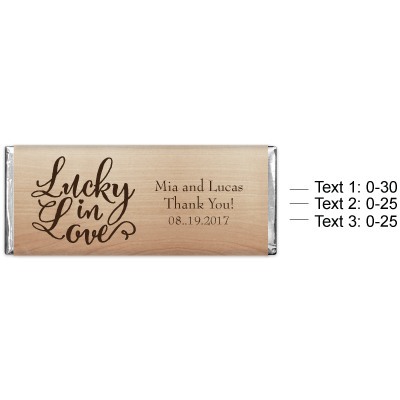 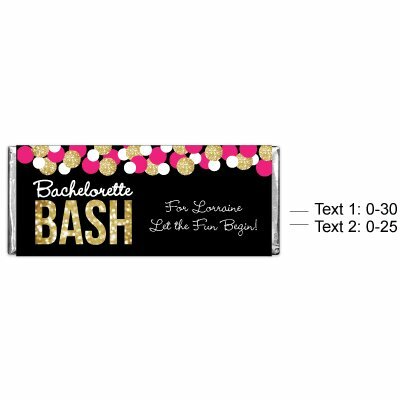 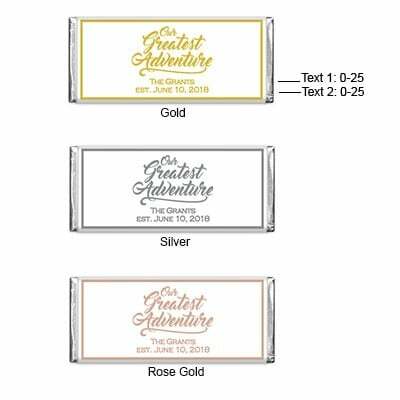 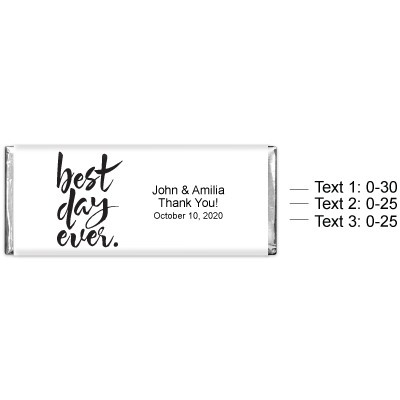 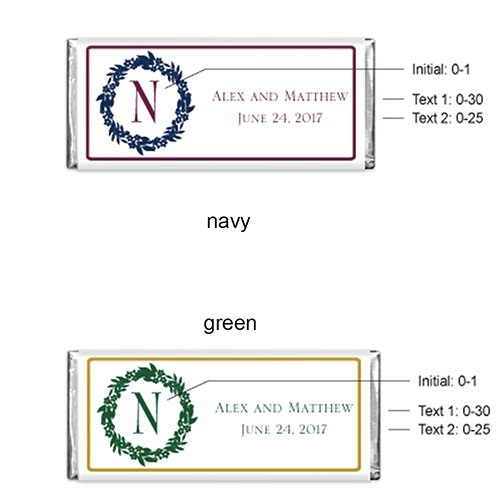 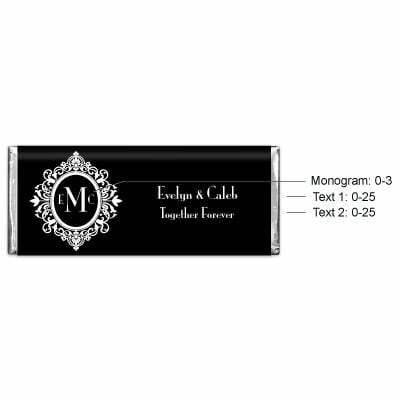 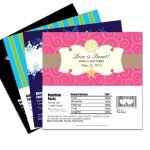 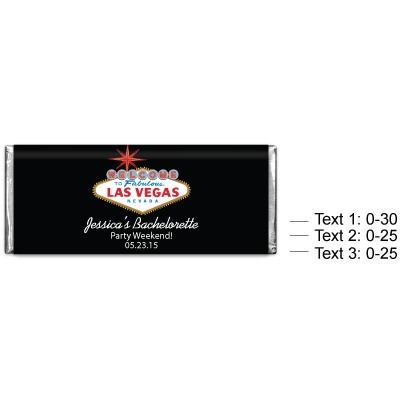 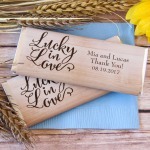 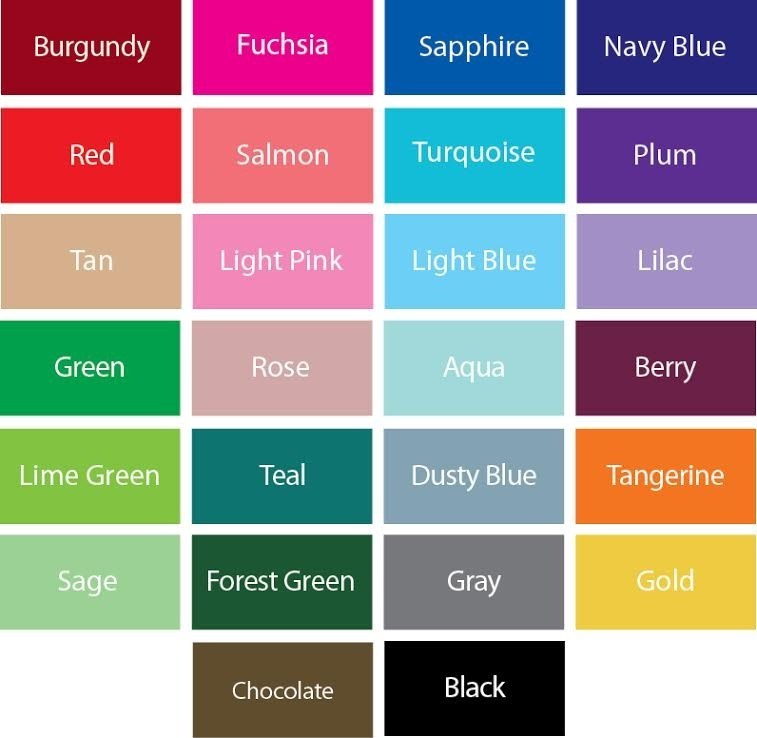 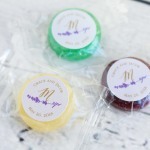 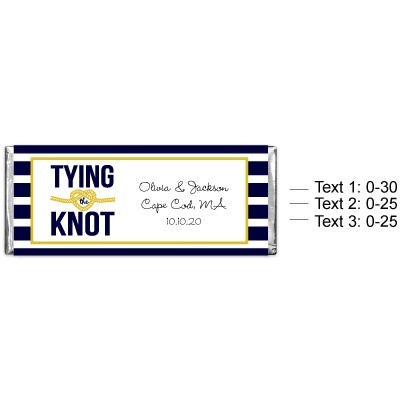 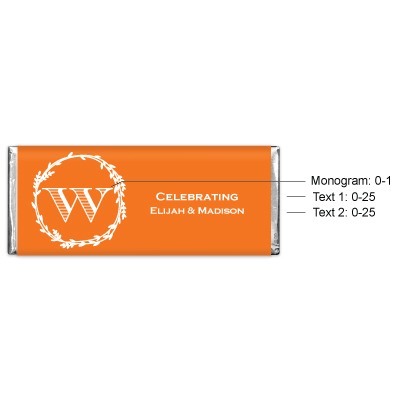 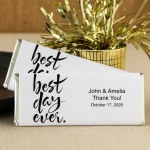 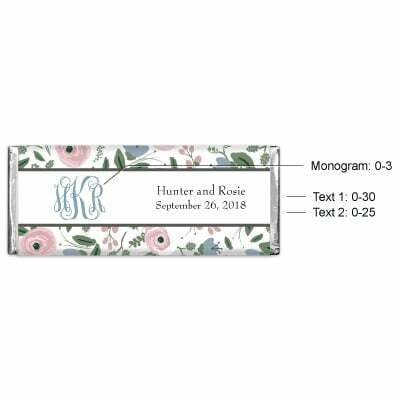 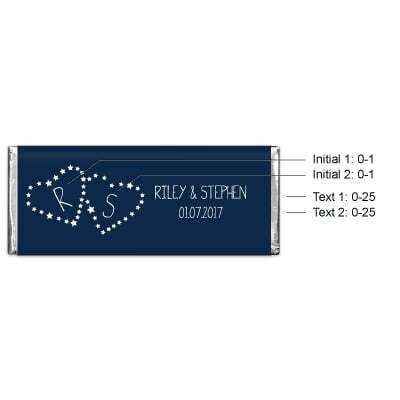 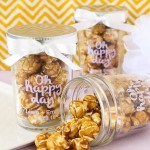 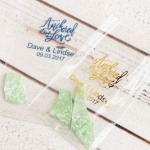 Enter two lines of personalized text (up to 30 characters each line), such as your names and the date of the event, and choose the design for the back of the wrapper to make your favors even more special. 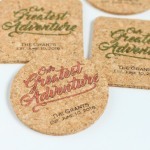 Exquisite printing promises your favors will look classy and professional. 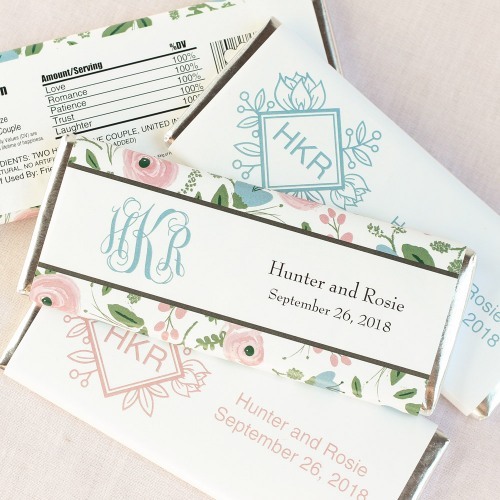 These Hershey's bars are made of solid milk chocolate with the Hershey's brand imprinted into the chocolate. 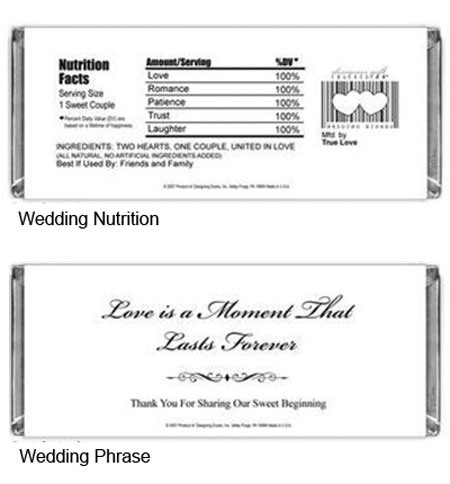 Bars measure 5.5"L x 2.25"H. Hershey's chocolates are Kosher and have a shelf life of 1 year.